No two construction jobs are the same. Whether it’s a new house, a large retail complex, or something completely different, every project has its own complexities. Of course, there are also unique risks involved with each job. Here’s the thing: If your company wants to survive and grow in the industry, it’s imperative to invest in construction risk management. By following sound processes, you and your team will make the right decisions and act accordingly. Keep reading as we explain how to keep risks under control. Occupational risk: The last thing you want is for one of your workers to suffer an injury on the job site. Injuries can stem from carelessness, methodologies or technologies used, inclement weather, or a third party. If you’re at all concerned about occupational risk, consider having your workers go through additional training programs prior to starting on the project. Project risk: A lack of proper project management can throw a wrench into any job. Inadequate company policies or miscalculation of time and resources can also jeopardize your project. That’s why it’s important to take a proactive approach when it comes to construction project management. Natural risks: You might have already identified every potential occupational, financial, contractual, and project risk. But what happens when Mother Nature unexpectedly throws your progress for a loop? It goes without saying that floods and other major storms can damage construction sites and render future work impossible. Competition: This is another major source of construction risk. Whether your company goes after large projects or smaller-scale ones, we’re willing to bet there’s competition. For example, maybe your firm is under pressure to match price or delivery terms. Whatever the case, it’s crucial to account for competition and avoid putting profitability at risk. 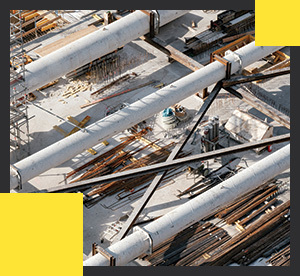 Now that you know some of the more common construction risks, let’s take a look at risk management techniques worth implementing at your firm. While this might seem pretty self-explanatory, it’s at least worth mentioning. Let’s say that your company has an opportunity to bid on a project in an area prone to earthquakes and other nasty weather. Is it really worth all the time, money, and materials to move forward with such a project? Maybe not. Accidents occasionally happen on a job site. Sure, you can certainly implement training protocols to limit the chance of a mishap occurring. Frankly, though, your best bet is to put the inherent risk in the hands of an insurance company, subcontractor, or third-party supplier. There might not ever be a day when safety hazards in construction no longer exist. However, your team should absolutely continue to invest in proper safety equipment and training. We’re not just talking about programs for workers, either. By educating high-level staff and managers, your company has a better chance of reducing dangers. As an industry veteran, you know that some risks are worth taking while others are not. In any case, understand that risk is a major piece to the construction project puzzle. Rework your risk management strategies if necessary, knowing that implementing them can sometimes work around the specific risk and even lessen its impact. For more information, be sure to check out “The Ultimate Guide to Construction Risk Management” by Capterra. 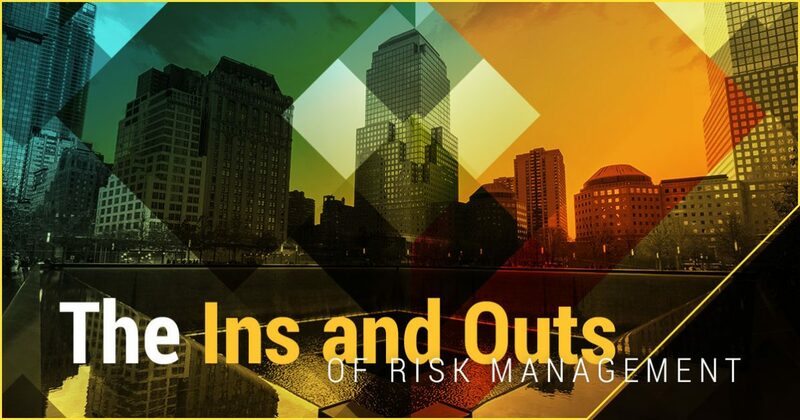 Don’t know where to begin your risk management efforts? The first step is finding a reliable outsourcing partner who, according to Construction Business Owner, “assists in creating and implementing programs to favorably impact your firm’s loss experience and minimize its cost of risk.” This person will also do everything in their power to prevent accidents from ever happening in the first place. There are seemingly countless risk management professionals in New York City. Keep in mind, though, that the most qualified are the ones who possess the right knowledge, skills, vision, and tools to identify and transfer potential risk. It’s one thing for your risk management partner to simply meet the compliance requirements. It’s another to include a comprehensive contractual risk transfer analysis. Many construction companies don’t realize that this is the least expensive way to transfer risk. Risk transfer analysis isn’t the only noteworthy tidbit of contract reviews. For example, if your risk management team can show the underwriter how your risk is being transferred contractually, the door may be opened to reduced rates and broader coverages. Has your company explored what it takes to be insured in pricing your products and services? If not, be sure to ask your risk management professional about bid and accrual support. He or she can also help with projecting the impact of business changes on insurance costs. Wouldn’t it be nice to understand the impact your experience modification factor has on workers’ compensation premiums? That becomes a reality thanks to experience modifications projections. The more predictable information you have at your fingertips, the easier it is to make good decisions in terms of risk. This can help your team get a better idea of the risks associated with a company being considered for acquisition. Acquisition due diligence includes an explanation of coverage, off-balance sheet risks, strategic, risk planning, as well as risk infrastructure. Such information can definitely play a major role in negotiating a lower price. It’s easy to make the wrong decision with optional coverages. On top of that, how should your team go about determining the most sensible retention and deductible levels? In short, a cost-benefit analysis created by your risk management advisor leads to better decision-making for everyone. You wouldn’t hire just anyone to serve as your risk management representative. The team at Menotti Enterprise has over 100 years of combined experience working on some of the most prestigious buildings around the world. It’s safe to say we’ve been there and done that in the world of construction safety and management. Menotti Enterprise is certified by both the state and city of New York as a “Service Disabled Veteran Owned” and “Minority Owned” Business Enterprise. Over the years, our workers have been at the forefront of various projects. We have extensive safety management experience in government, educational, retail, commercial, residential, MTA, and maritime sectors. As we will discuss in a bit, Menotti specializes in risk management, construction management, OSHA training, engineering, and expediting. We continue to be one of the most versatile firms in the industry. Very few risk management firms in the region emphasize integrity quite like Menotti does. As a family owned and operated business, we understand the importance of going above and beyond for clients. 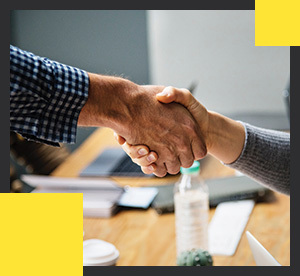 At Menotti, we believe that if you choose to invest in our expertise and services, you deserve the best experience possible. It’s why we place such significance on communication and timeliness. Our approach to risk management is simple: Provide processes and solutions to help identify and address any risks while implementing a plan to prevent future ones. Thanks to risk management services from Menotti, you can lessen the number of violations and stop work orders issued, insurance premiums, and legal fees. Not to mention, Menotti helps you proactively change the project’s culture. 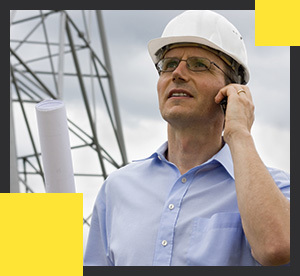 Searching for an experienced construction management firm in NYC? Look no further than Menotti Enterprise. 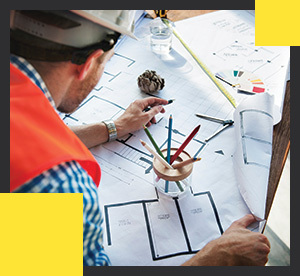 For years, we have provided clients world-class construction management services while exceeding their expectations. The Menotti team is well-versed in all aspects of construction, management, and engineering. 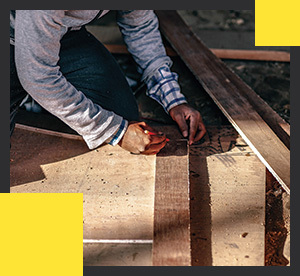 Whether your projects entails just a few minor renovations or a $1 billion overhaul, you can count on us to get the job done right. As aforementioned, Menotti has experience in various sectors, including government, education, residential, and aviation. The Menotti team is happy to help with every phase of construction management. We can assist with supervision, coordination, pre-construction, scheduling, and closeout. At Menotti Enterprise, we are always dedicated and devoted to the client. If you have an upcoming project looming, don’t just settle for any risk management firm in NYC. Reach out to our experienced team today!